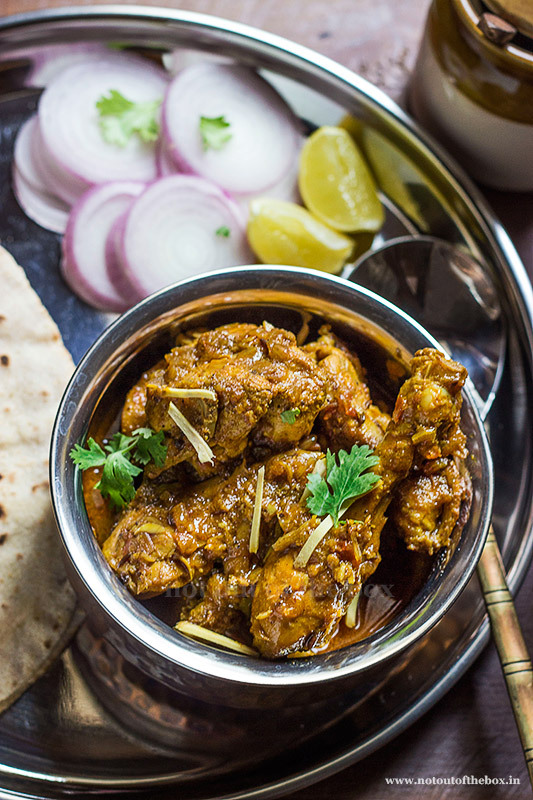 This spicy, rustic Dhaba style Chicken curry cooked with whole spices to get the maximum robust flavour. You don’t need any fancy ingredients to make this, but still, you can bring out the taste of Dhaba food in your own kitchen. Heat oil in a deep frying pan/kadai, temper with the ingredients mentioned ‘For tempering’. Add onion, sauté on medium heat until light brown; next to add green chillies, chopped tomato, turmeric powder, kashmiri mirch powder and coriander powder and. Mix and stir over medium heat until the tomatoes become soft. Now add the marinated chicken into this. Mix, cover and cook on low heat. Stir in between. Add salt and ½ cup of hot water when the chicken is half cooked. Mix well, cover and cook further. When the chicken is almost done, add garam masala powder and fresh coriander leaves. Mix gently and simmer until thoroughly cooked. Garnish with julienned ginger. 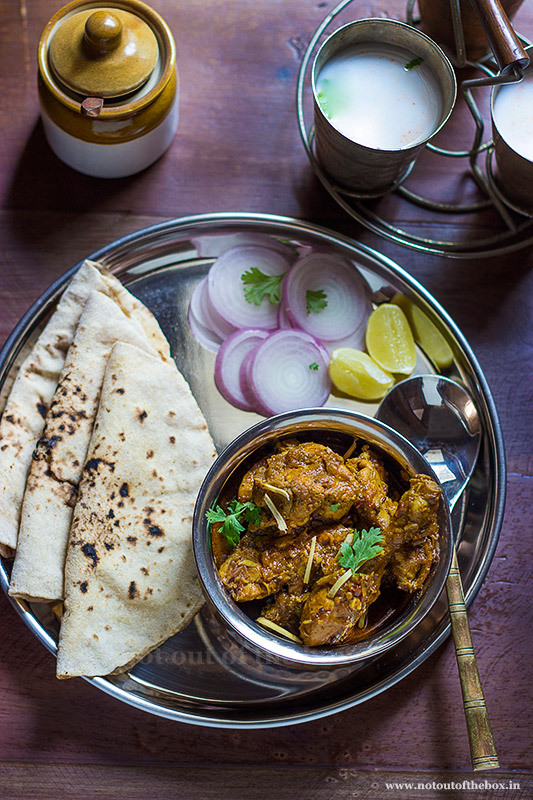 Serve Dhaba style Chicken Curry with Naan, Tandoori roti or Phulka.